The evil Bydo Empire returns in this entry of the R-Type series. So climb into the latest R-Type vessel, the R-90, and blast through six side-scrolling levels on your way to destroy the Bydo mothership. Gameplay is still the classic R-Type way with huge levels and bosses. With your detachable laser unit, you can fire in front or behind your ship. 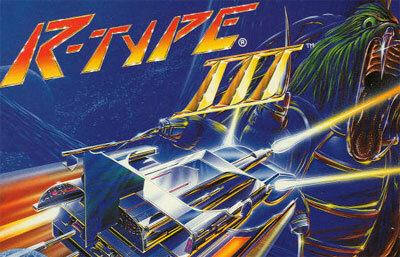 R-Type III now features three different kinds of laser unit, selectable at the start of a game. Each offers different laser types depending on the power-ups collected.